Schedule your MINI service today! Your MINI is a reliable and stylish subcompact ride. The small, English powerhouse automobile has a strong, cultural heritage — drivers get the feeling that they are a part of a quirky, carefree lifestyle when they take their MINI out for a ride. But getting the most fun out of your MINI means turning to a certified mechanic who can perform repair and maintenance services. Trust Towson, Maryland’s Hollenshade’s Auto Service to keep your car in optimal condition. Stop and go traffic can do a number on your clutch. Get your MINI into prime shifting shape with our clutch inspection and replacement services in Towson, MD. We start by conducting a full-vehicle diagnosis. Then, we complete our repairs based on MINI specifications. Trust us to keep your car safe from costly repairs and wear and tear. Your car’s differential transfers engine power to the wheels. And navigating tough terrain or engaging in extreme driving can quickly wear out your MINI’s differential. Preserve gear life and enhance your car’s performance by changing the differential fluid regularly based on manufacturer specifications. We conduct differential diagnosis and repairs in Towson, MD. An exhaust system that adequately functions keeps your car running safely and efficiently. Your car’s engine, which is equipped with built-in sensors, communicates with other components to give you the best fuel economy. Once your exhaust system turns problematic, however, schedule an exhaust leak repair service at Hollenshade’s Auto Service. Our technicians are trained in inspecting and repairing exhaust systems. Your car’s cooling system carries heat away from the engine and maintains an ideal operating temperature. A problematic cooling system can affect your car’s performance, leading to overheating, leaks, and even complete engine failure. Keep your car running smoothly and schedule a cooling system diagnosis and repair for your MINI today. We complete all auto repairs and maintenance work with speed, accuracy, and transparency. 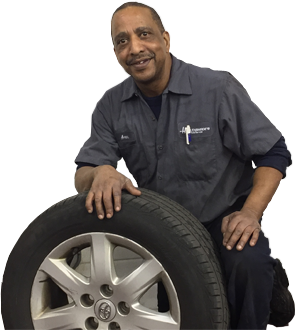 At Hollenshade’s Auto Service in Towson, MD, you’re sure to get value for your money. Call us today (410-828-5750) or contact us here.